I feel very happy and honoured to be chosen as a prefect. 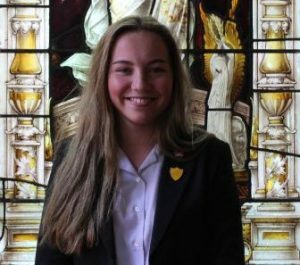 I think that being a prefect is an important role in the school as you have to set an example to the younger children within the school and teach them how to behave correctly. My favourite subject is P.E. because i love doing sport and always enjoy my P.E and games lessons. My favourite hobby would probably be netball; I love to play it outside of school.